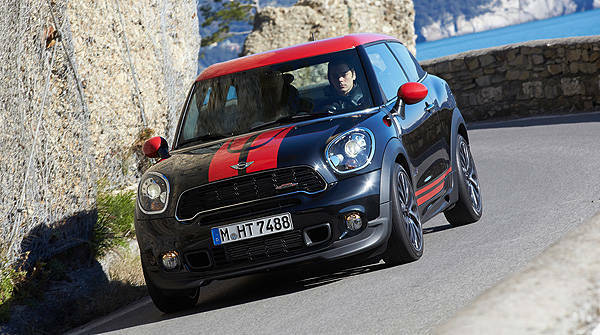 Mini has revealed what it calls its "seventh top-class athlete in the John Cooper Works range." To create it, the carmaker mixed the Sports Activity Coupe concept of the Paceman with the powertrain and chassis technology it developed using its extensive motorsport expertise and its All4 all-wheel drive system. 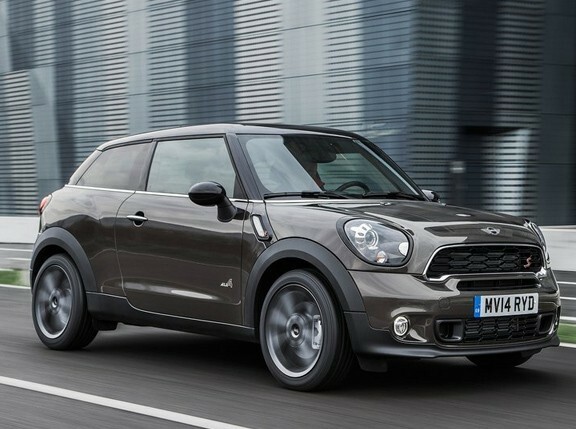 The result: the Mini John Cooper Works Paceman. At first glance, what makes the John Cooper Works Paceman stand out against the standard model is its special set of aerodynamics kit, lowered sports suspension, and 18-inch light-alloy wheels. Chili Red is also available as an exterior paint finish--exclusive to John Cooper Works models--as a contrast shade for the roof and exterior mirror caps. Powering the John Cooper Works Paceman is a 1.6-liter, twin-scroll turbocharged in-line-four engine that produces 215hp and 280Nm of torque. Thanks to the overboost function, torque can be increased to 300Nm for short periods between 2,100rpm and 4,500rpm. Sending the power to the car's All4 all-wheel drive system is either a standard six-speed manual gearbox or an optional six-speed automatic transmission. According to Mini, the John Cooper Works Paceman can sprint from zero to 100kph in 6.9 seconds--with either gearbox--on its way to a top speed of 226kph for the manual and 224kph for the automatic variant. Main interior features include bespoke sports seats, a sports steering wheel, interior trim strips in piano black, an anthracite-colored roof liner, and dark-colored dials for the speedometer and the rev counter.